The National Trust for Historic Preservation has just named a former camera factory in West Hollywood one of America’s 11 Most Endangered Historic Places. A new 250-room hotel and mixed-use development is proposed for the site by developer Jason Illoulian’s Faring Capital (see Norms) and the family of the late design icon Phyllis Morris, whose showroom has been in the neighborhood for decades. The new project, called Robertson Lane, would include ground floor retail space and a pedestrian walkway linking LaPeer and Robertson south of Santa Monica Boulevard. The 86-year-old steel building went up as the home of the Mitchell Camera Corporation shortly after sound movies arrived in Hollywood. Their advertising claimed that 85 percent of feature films were lensed with their cameras. Mitchell moved to Glendale after WWII (that building was later demolished for a Home Depot) and exists today as a unit of Panavision. The old plant was purchased in 1967 by a consortium of stars including Paul Newman, Anthony Newley, Jerry Ohrbach, director Richard Donner, and Peter Lawford. It was remade into a private club called The Factory and became an immediate hit with the Sinatra set. The spot was gone five years later when the Paradise Ballroom moved in and added penny arcade games to The Factory’s 19th century castoff décor. A year later, it was the Spaghetti Village restaurant. That business added theme rooms evoking a firehouse, barbershop, and jail in the cavernous old space. The site’s next wave of history began when it was converted into an expansive dance club called Studio One in 1974. More than 1,000 people a night hit the dance floor through the 1970s and ’80s and it became one of the top gay dance clubs in West Hollywood. A theater called The Backlot featured shows from the likes of Chita Rivera and Bernadette Peters. The dancing didn’t stop for 40 years. The National Trust for Historic Preservation’s “most endangered” list is prestigious–the old club joins the Grand Canyon and the San Francisco Mint on it this year, but it does nothing to prevent the building’s chances of demolition. The Los Angeles Conservancy awarded West Hollywood an A+ on their 2014 Preservation Report Card, so perhaps a clever staff member can figure out a way for WeHo to have its cake and eat it, too. 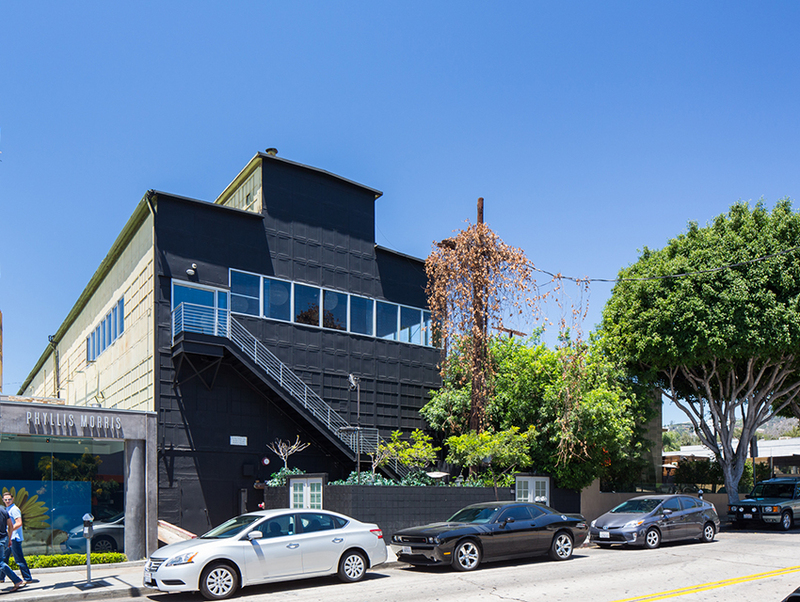 Robertson Lane is currently in the environmental review phase while the conservancy, the West Hollywood Preservation Alliance, West Hollywood Heritage Project, and a group called Save the Factory all support reuse of the existing building. Let’s see if there can be a new life for this old factory.